I’ve been wanting to add olives to my diet for a while, so today was the day! They’re not a food I eat in great quantities, but they’re a ‘nice to have’ now that I’ve introduced so many basic foods that I’m happy with. On phase 4, olives still need to be cooked – so have them on top on an SCD pizza, or as part of a sauce, stew, etc. On a diet that can be quite bland (at least in the beginning) they provide an awesome new flavour that adds a new dimension to your same-old foods. They seem to have treated me fine. Tomorrow, I’ll reach my 100 day challenge. The thought is actually quite daunting – what will I do about my diet after 100 days? Well nothing radical, I can tell you that much. I think I’ll continue to eat a mainly SCD diet, but as I’ve mentioned previously, I’ll be transitioning more towards paleo, which I’m hoping will suit me well. So I’m off to Kuala Lumpur on Friday, and Bali next Monday. It’s going to be an amazing trip and I LOVE Eastern food, so that will be interesting too. In fact, I’m even considering doing a cooking class while I’m in KL. Eastern food really agrees with me and I find I have little trouble when I’m visiting that side of the world. That said, I did ask my doctor for a dose of cortisone, just in case. If you’re travelling abroad and aren’t going to be back for a couple of weeks, it’s a wise idea to have some back-up steroids with you. 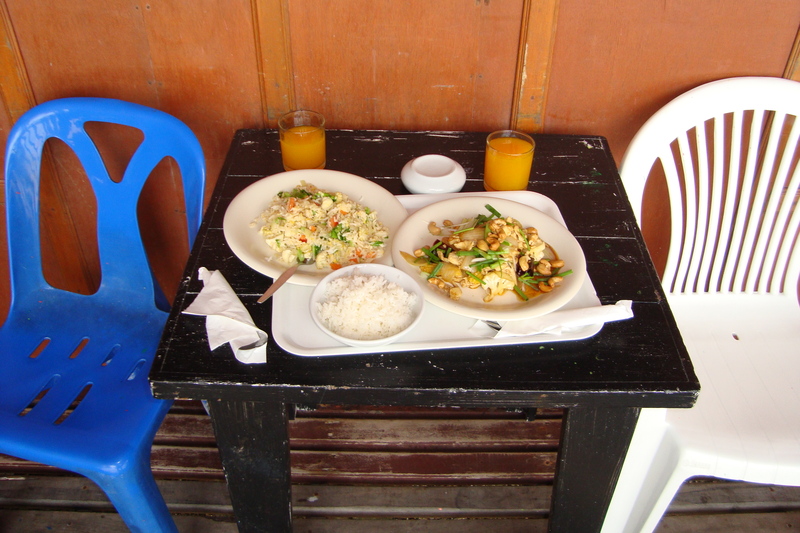 Breakfast in Koh Phangan, Thailand, 2013. My kind of food!